When you buy a used Toyota we believe the experience must always be as enjoyable and reassuring as if you were buying a new model. That’s why we’ve introduced TOYOTA PLUS: an approved used-car programme that delivers complete peace-of-mind every step of the way. With the reassurance of extended Toyota warranties - up to 36 months - and full roadside assistance, as well as thorough checks by our trained technicians, every TOYOTA PLUS vehicle is ready to go. And as the Hybrid leader, every one of our innovative models comes with our exclusive Hybrid Life Assurance, to power you on for years to come. Each vehicle marked with the respective TOYOTA PLUS logo, carries some unique benefits as listed below. TOYOTA PLUS approved Hybrids enjoy up to 36 months/45,000 kms* warranty, giving you the level of comprehensive cover and reassurance you’d expect from Dickran Ouzounian & Co. Ltd.
All TOYOTA PLUS approved Hybrids benefit from Hybrid Life Assurance, providing a further one-year/15,000 kms* of Hybrid Battery Extended Care (up to 11 years through the Health Check programme). Prior to sale, all TOYOTA PLUS approved Hybrids are subject to a rigorous quality inspection of 101 points by a Toyota-qualified technician. The inspection is mandatory on all vehicles that are prepared for sale under the TOYOTA PLUS program. All TOYOTA PLUS approved Hybrids come complete with a free roadside assistance package for 12-months from the date of delivery, that includes breakdown and recovery services at your home or by the roadside. Whichever model you choose, all of our approved Toyotas will be fully prepared –including all refurbishment – so you can drive away safely sooner than you think. Should the customer not be entirely satisfied with their chosen TOYOTA PLUS used vehicle, they can exchange it within 14 days for one of equal or higher retail price. Once you’ve found the right approved model, rest assured there are a range of flexible financing options available from local Financial Institutions. Prior to sale, all TOYOTA PLUS approved used cars are subject to a rigorous quality inspection of 101 points by a Toyota-qualified technician. The inspection is mandatory on all vehicles that are prepared for sale under the TOYOTA PLUS program. All TOYOTAPLUS approved cars come complete with a free roadside assistance package for 12-months from the date of delivery, that includes breakdown and recovery services at your home or by the roadside. In the first instance you can use our Used Vehicle Locator, which presents all of the TOYOTA PLUS Approved Used Toyotas for sale by our network island-wide and in your area. We have an extensive range of vehicles in our TOYOTA PLUS Approved Used car range. From the city AYGO, iQ and Yaris to the practical and refined Avensis, RAV4 and Verso. The pioneering Hybrid Prius and Auris along with the iconic Hilux & Land Cruiser, you are guaranteed to locate a Toyota to suit you and your lifestyle. 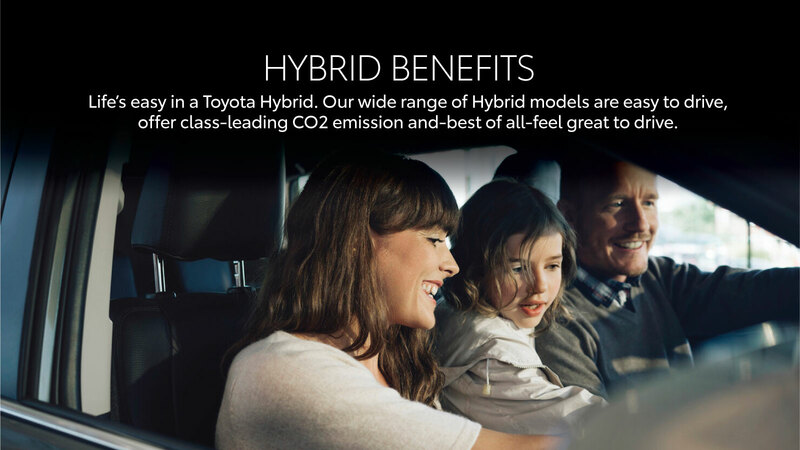 Our TOYOTA PLUS approved used Hybrids utilise their Hybrid Synergy Drive System technology, where the cars electric motor and petrol engine combine to create increased fuel economy and cut down on emissions, while still allowing drivers to enjoy speed and distance performance. Toyota Hybrids also have the added benefit of an improved smooth and quiet ride, especially at low speeds. The cars can actually sense how much power is required, and will seamlessly switch back and forth between the electric motor, petrol engine and a combination of the two to get the driver where they need to be – and in the most fuel-efficient way. There are a number of points to consider when discussing the ideal mileage of a used Toyota. Like with any vehicle – from the cheapest to the most expensive – optimum performance and enjoyment will depend on how well the driver looks after their car. Regular servicing, addressing any mechanical issues promptly and driving in a responsible manner, will mean that a car can clock up many miles without any negative impact on its performance. A well looked after car with 150,000 kms on the clock, but which has had regular servicing, will be just as reliable and deliver just as good a performance as a car with 30,000 kms. 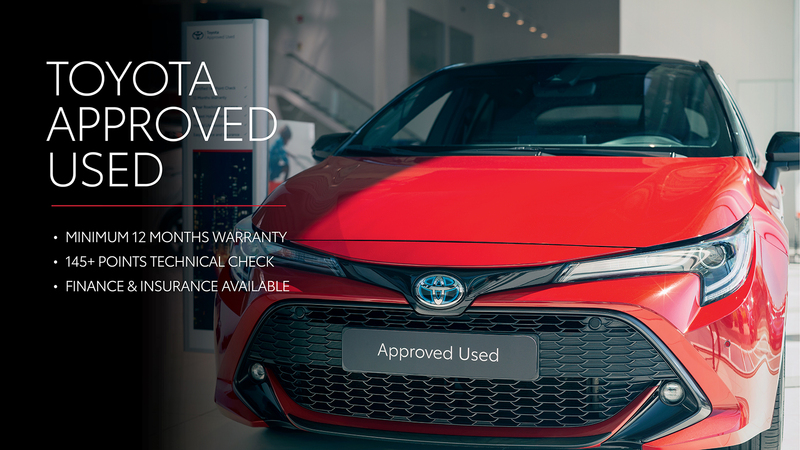 All used Toyotas are part of the TOYOTA PLUS Approved Used Programme, which includes up to 36 months Toyota warranty, Toyota Roadside Assistance, part exchange and a Toyota technical check.